We are world class manufacturer and supplier and exporter of liquid oxygen/nitrogen plants. We are trusted for offering high quality Liquid nitrogen making machine that is manufactured using the latest cryogenic distillation technology. Our clients from all over the globe prefer buying our liquid nitrogen making plant because of our commitment to deliver the best quality machinery. We are reputed for complying with high standards and providing superb after sales service. We always try to surpass the expectations of our customers. Our company is committed to deliver high quality liquid nitrogen making machine that comes in various capacities and sizes ranging from 20 liter/hour to 1000 liter/hour. Constructed with premium quality air compressors, our liquid nitrogen plants give seamless performance between 6 and bars. Moreover, liquid plant machinery is manufactured in accordance with the highest safety, health and environmental standards. 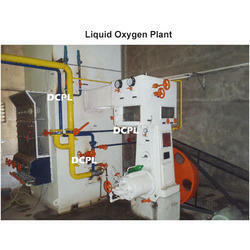 The Liquid Nitrogen Plant designed and developed by our company ensures highly pure liquid nitrogen. The output with purity upto 99.99% finds application in a number of industries. We send our engineers to international market in order to get the latest developments in the industry. Raw materials and components are taken from authentic source to ensure smooth and reliable functioning. DCPL is a leading liquid nitrogen plants manufacturer that manufactures and supplies high quality liquid nitrogen tank filling plant. Our reputation rests on our commitment to provide nitrogen machinery which is fabricated using the best quality raw material and superior technology. Since our establishment in 1987, we have become the trusted choice of customers from all over the globe. We use advanced cryogenic distillation technology in the fabricating of the machinery. Our machines are based on the process cycle of Linde Claude, pioneered in 1930s and is updated many times. our liquid nitrogen tank filling plant is able to generate purity up to 99.99%. We offer liquid nitrogen making plants in capacities ranging 20 liter/hour to 500 liter/hour. Advanced air separation columns are used in the fabricating of our machinery for production of high purity nitrogen. Cryogenic grade stainless steel is used for better performance of our plant machinery. Liquid nitrogen is stored in cryogenic storage tanks after being generated in the liquid nitrogen plants. For maintaining high quality standards, we have been awarded ISO 9001:2008 and CE certifications. Purchase our liquid nitrogen for high quality, better performance and reliability. We fabricate, manufacture and supply liquid nitrogen production plant using the latest cutting-edge cryogenic distillation technology. Premium quality materials are used in the fabricating of the cryogenic plant machinery. Our company imports the most advanced technology from a leading industrial gas plant manufacturing company in Europe. 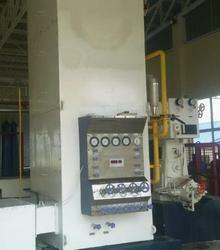 Our oxygen gas plant is known to function smoothly and is regarded as reliable and durable. High grade stainless steel is used in the fabricating to ensure machinery deliver oxygen with high purity. Our company provides liquid nitrogen production plant in various sizes and capacities ranging from 20liter/hour to 500liter/hour. Moreover set up cost liquid nitrogen production plant is considered very competitive in the industry. Oxygen and nitrogen produced in our oxygen and nitrogen gas plant is 99.7% and 99.9% respectively. Furthermore, we also provide a very responsive after sales service to sort out the problems of customers. Looking for Liquid Nitrogen Plants ?